Hypershoot Basketball Rentals | EpicPartyTeam.com Phoenix AZ. HYPERshoot offers a more innovative and rewarding experience over traditional basketball games. The slightly oversized, angled hoop simplified action in a natural way, and the interactive light tunnel creates dynamic visuals that guests just can’t seem to walk past! 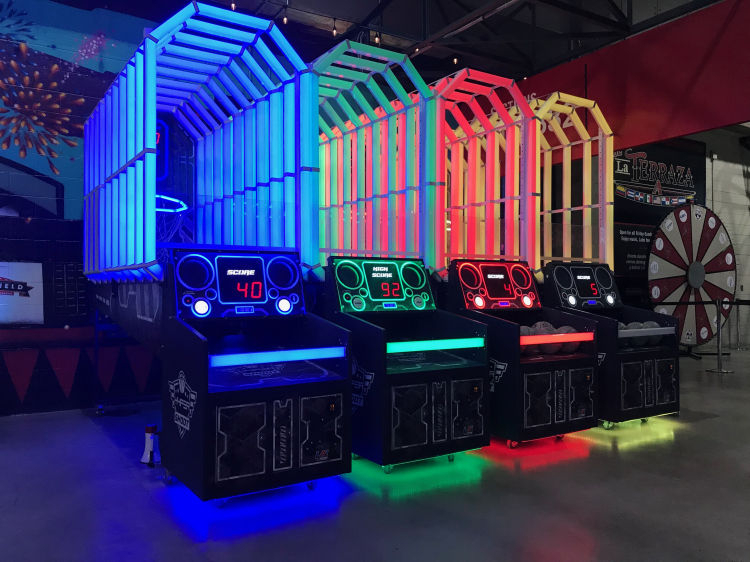 The Hypershoot basketball arcade skips the boring and goes straight to extraordinary. Nobody can walk past this game without playing! Don’t settle for a boring super shot basketball when you can get the best!! Must have 60 inch wide smooth path to setup location. 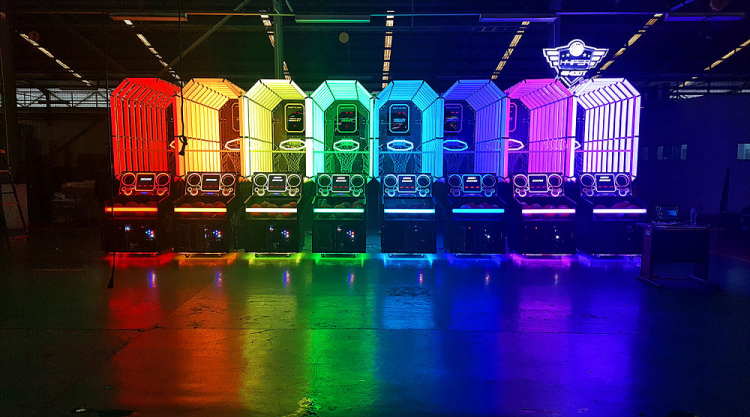 Choose color.